Sure, we're only just packing away the tinsel and lacing up our working boots. But before you know it, you'll be needing a little respite - and what better way to kick-off the first major holiday window of the year in proper style - than by having you break prepped and primed. So what if there might be a frown when you submit that leave form. Take this expert advice on how to get the most out of the Easter Break and Worker's Day. So whether you're planning to spend time sleeping under the stars, driving down to the coast or just hanging out, expect to have a lot more free time. Easter weekend: 19 to 22 April. Friday 19 April is Good Friday, Monday 22 April is Family Day. Freedom Day and Workers Day: Saturday, 27 April is Freedom Day and Wednesday, 1 May is Workers' Day. Unfortunately Freedom Day is a moot point, since it falls on a Saturday. However, take off Monday 29 April and Tuesday 30 April off = 2 days leave, 5 days off. If you also take off Thursday, 2 and Friday, 3 May = 4 days leave, 9 days off. Lump it all together from 19 April until 5 May and you've secured 17 days off in a row for only six days leave. How to celebrate Freedom Day! Freedom Day is a South African public holiday celebrated on 27 April, the date, which marks freedom and commemorates the first post-apartheid elections held on that day in 1994. The first democratic elections were the first non-racial national elections held in SA, and regardless of how difficult things still seem in SA, nothing will be as bad as denying specific South Africans the right to cast their vote. It’s a good idea to head back to SA’s roots on Freedom Day – not only to remember the bitter history and wrongs of the past, but to celebrate just how far we’ve come as a nation in building bridges to a better future for everyone. We’re still in the process, that's for certain, but we need to acknowledge the good achieved to keep us motivated, to keep SA going forward. It’s not necessary for you to hang out in the Apartheid museum all day, but be sure to be in a space where you can be reminded of the privilege of living in a free country. If you've never been, now is the time. The island has also recently launched an app in partnership with Google Maps, which will enable visitors to experience the island on their own time, with an audio playing ‘tour guide’ in hand. There are plenty of ways to take a trip into this cultural hub of the country. If anything, it has become so much more than the only street in the world to have houses two Nobel Peace Prize winners - which in itself is an astounding fact. It's a living, breathing pulse of kasi life in South Africa and there are plenty of other must-sees in this urban city. You can also opt for a organized tour with either Soweto.co.za or City Sightseeing, and you’ll be sure to hit all the sweet spots. It’s both a cultural hub, filled with history from long before Freedom Day. But this also happens to be the place closest to where Nelson Mandela spent his last days in prison. The private house on the Victor Verster premises (now the Drakenstein Correctional Facility) where Mandela lived has been declared a South African National Heritage Site, and a statue of Mandela stands just outside the prison gates. You can stop by before heading into Franschhoek for a Freedom Day lunch. This iconic museum it voted as one of the favourite in SA, and will give you deep insight into the wrongs of the Apartheid era, as well as the good that overcame that evil regime. Get out there and celebrate FREEDOM with fellow South Africans. There’s no need to go to Mzoli’s specifically, as you can just as well host a braai with friends at home. If you’re looking for good company, however, Mzoli’s will serve this, along with the best Shisanyama around. Once the nerve centre of the liberation movement and a place of refuge for its leaders, today Liliesleaf is one of South Africa's foremost, award-winning heritage sites, where the journey to democracy in South Africa is honoured. "Liliesleaf has always been a place of dialogue. In the early 1960s, when the property was the headquarters for covert, underground activities and a safe house for many leading figures of the liberation movement, debates on political and military policy and strategy were commonplace. People from diverse backgrounds but with a common vision met here to discuss South Africa's emancipation from an oppressive apartheid regime." 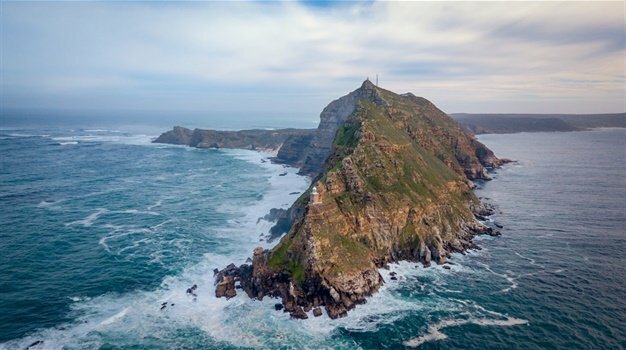 Also read: The Top 10 SA landmarks everyone must see - before they're gone! The country is your oyster is this category. This is one of the most beautiful of the remembrance sites in South Africa. This sculpture in Howick in KwaZulu Natal is an interactive area where you can reminisce alone or spend time with your loved ones. The beautiful green surrounds add to the display that becomes Madiba’s face as you walk closer. The Nelson Mandela square boasts a six-meter tall sculpture of Madiba (which is almost as big as he was…). Here, while you go about your daily business of shopping and grabbing a bite to eat, you will be in the presence of this icon looking down on passersby.